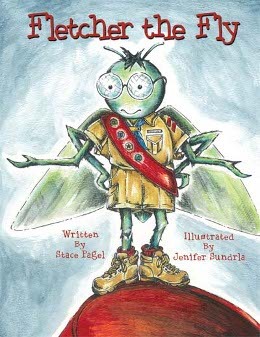 Fletcher the Fly makes a great gift for boys and girls. It is aimed at a first grade and younger reading level. The story is written as a rhyming poem with word repetition and a flowing rhythm that make it fun to read over and over. The book is also beautifully illustrated, so children will pick this book as their bedtime story again and again. Illustrator Chosen for TV Show! Copyright 2009 © Measuring Up. ALL rights reserved.